I was allowed to come and see Srila Prabhupada for the first time. It was in the evening. Srila Prabhupada’s room was dimly lit. I remember sitting near Srila Prabhupada, and he asked me a few questions. He asked me what my father did, and I replied that he had been in the foreign service. He asked me if I would like to be initiated and I replied, “Yes, but I’d like to know more about it.” I felt that I should do something in order to deserve being initiated, but I had no doubt in my mind that I wanted to be and I wish I had said yes. That first meeting with Srila Prabhupada completely changed the course of my life. I knew right then that I’d never met anyone like Srila Prabhupada in this lifetime and I would never meet anyone like Srila Prabhupada again. There was this universal feeling that emanated from Srila Prabhupada. It was like he possessed the power of the universe. It was a very, very amazing feeling that you only feel in the presence of Krishna’s pure devotee. I remember all the devotees offering dandavats, and that included the ladies. 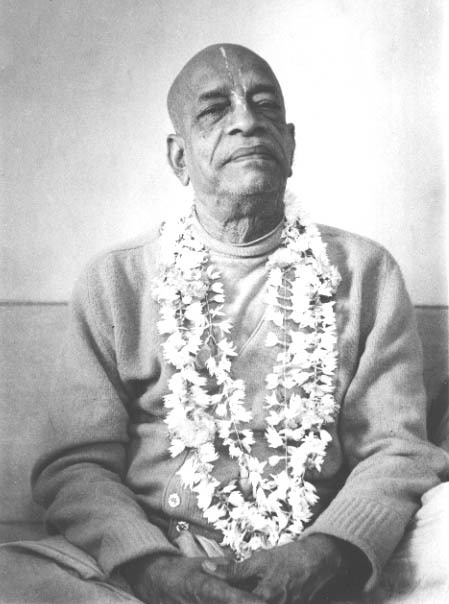 As soon as Prabhupada came in the room, in the hall, everyone just went down like sticks or dominoes, and that was very impressive to a newcomer. There were a couple of things that also impressed me. Hansadutta wanted me to go to Germany, and Bhagavan wanted me to stay in France because I spoke a little French. But a godsister reported back to me that Srila Prabhupada had replied that “She can go wherever she wants, she is free.” So looking back, I always appreciate that. That even though I was new, that freedom was always there, that choice was always there, and he made that clear.